The journey of Pine Forest Honey to your plate begins with the Marchelina Hellenica insect that inhabits the pine trees of the Aegean. This insect deposits a sugary liquid that it cannot digest on pine trees. Honeybees gather this up and process it with enzymes secreted from their bodies. Any connoisseur of flavor must get a taste of pine honey, 90% of which is produced in Turkey’s Aegean Region. 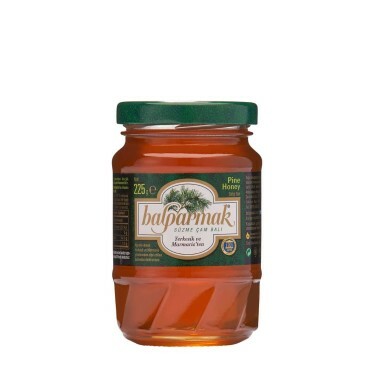 You are welcome to add this delicious 600 g Balparmak Pine Forest Honey into your life!